The F.A. 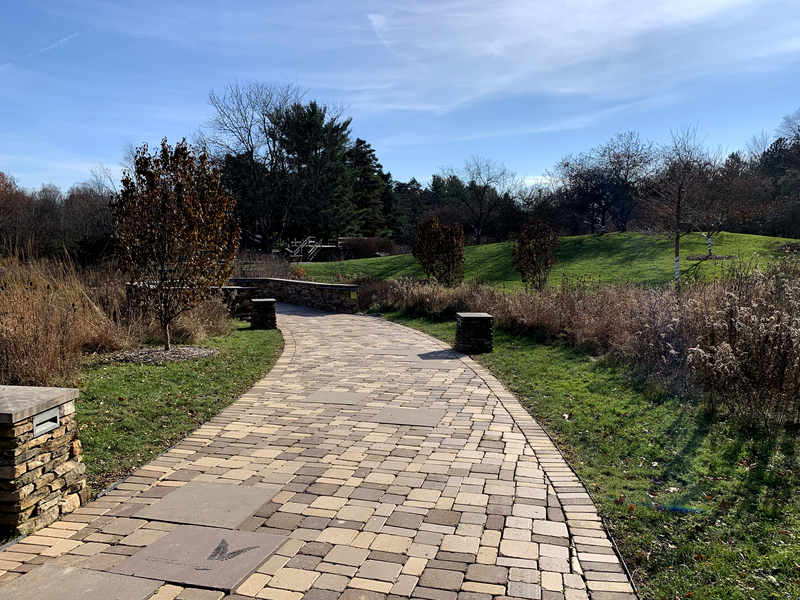 Seiberling Nature Realm, located on the west side of Akron, has a main educational center as most do and many loop trails for people to enjoy. This particular one has a fairly large pond, great spots for bird watching, and is one of the main spots to pick up your badge when you finish the spree. 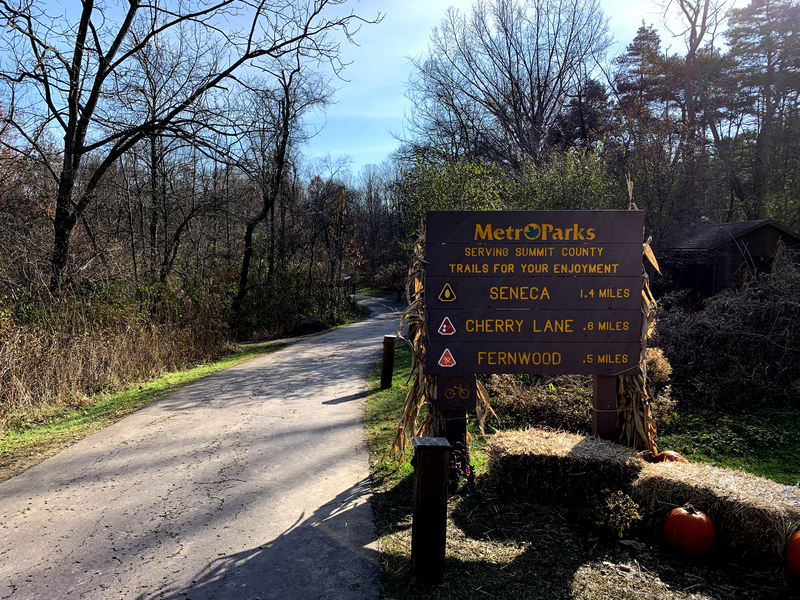 For the Summit Metro Parks Fall Hiking Spree, we had to conquer the Cherry Lane trail that connects to Fernwood trail. 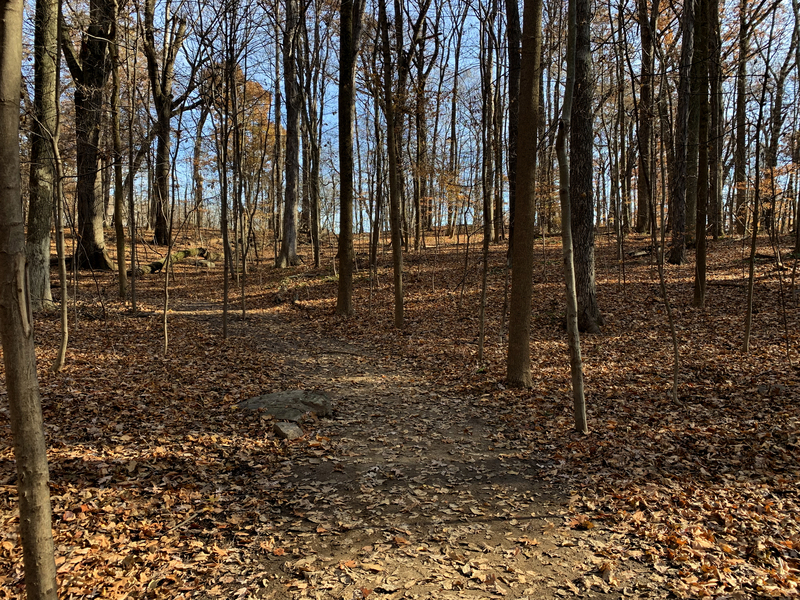 These two trails, combined, form an easy 1.5 miles that showcased the forest, ravine, and an open field. The hike is rated as basic class with an easy rating and, for the most part, I would agree with this classification. There is a hill towards the end that left me quite winded, but overall, it’s a trail that those with children could easily navigate. This particular day was fairly quiet once you got onto the trail. It was fairly muddy after one of the first snows of the season that melted rather quickly. Taking in a deep breath of autumn air, I felt rather peaceful. It was good to get outside after spending so much time indoors due to the snowfall. Beyond that, I don’t have much else to say about this trail. It’s not the most memorable in my book, but it seems to be really popular for families.